As most of you know, opening this Friday is New Line/Platinum Dunes remake of A Nightmare on Elm Street. Over the past few months we’ve been covering the movie extensively with a set report, on set interviews with Jackie Earle Haley and producers Andrew Form and Brad Fuller, and a few weeks ago I spoke to Katie Cassidy / Thomas Dekker and Rooney Mara / Kyle Gallner at WonderCon. 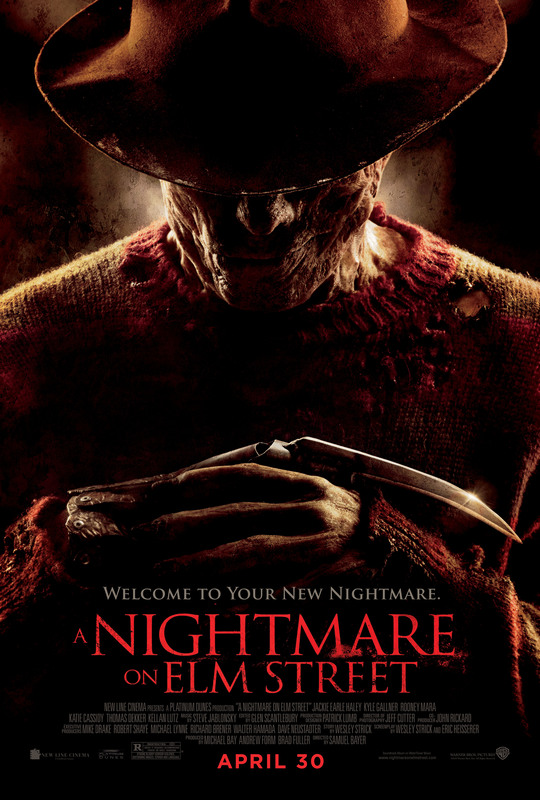 Finally, if you’d like to watch 5 clips from A Nightmare on Elm Street, check them out here.